I've had a really hard time staying focused on buying other people Christmas gifts this year...more difficulty than usual. We're just about done with out holiday shopping- whew! It is a challenge to do it here because it's busy pretty much everywhere...I really miss Forrest Hill! Anywho, I felt like I should share the latest gift I bought myself because I am just plum crazy about it! On a slightly different note (still about gifts, though): On drive into work the other day, Kenney and I were listening to the radio. The guy said that men tend to spend more time shopping for their boss than they do their wives...and they said women spend more time shopping for their pets than they do their husbands. I laughed so hard because it's completely true! I couldn't tell you how many hours I spent surfing the web looking for the perfect toy/bed with the best price for the pups! I will let you in on a little secret (just because most of you don't live near me anymore, so I don't have to worry about shopping competition)...Ross, TJMaxx, Marshall's & Homegoods have some AMAZING pet toys right now!! They have toys that are $20+ in other shops (like the speciality pet shops) for $4-6! I've been snatching some up for Christmas for Ana & Blue...hope you have some room left in your pups' holiday stockings!! I love Sarah's stuff. We have some of her tiles. I'm saving up for some of her big stuff. 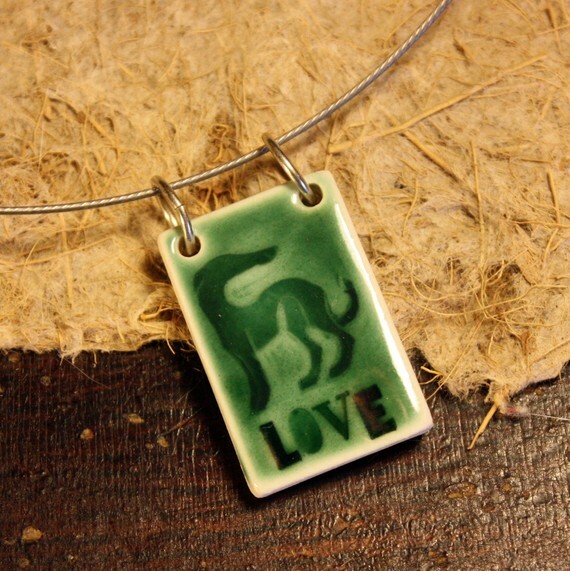 I've been looking for her little tile pendants too, I hope she makes more. Yours is really pretty. 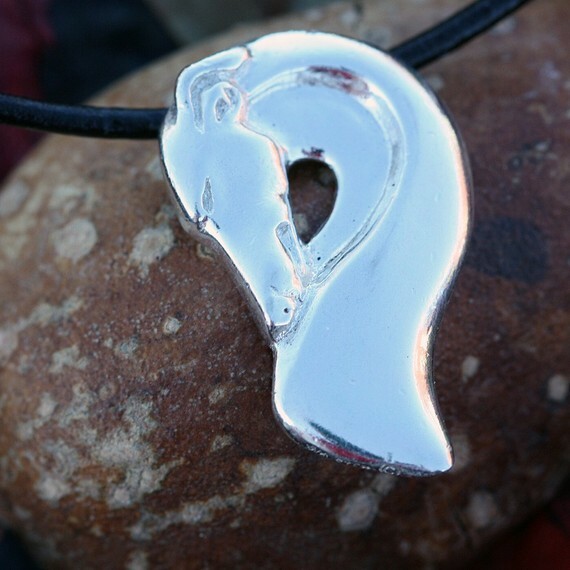 I was lucky to get one of her silver pendants this summer. I love it.